With the Adidas miCoach web platform and app, you have one of the most powerful training tools a runner could ask for right at your fingertips. It’s not perfect, but miCoach offers a ridiculously thorough training program for pavement-pounding newbies all the way up to marathon-running athletes. 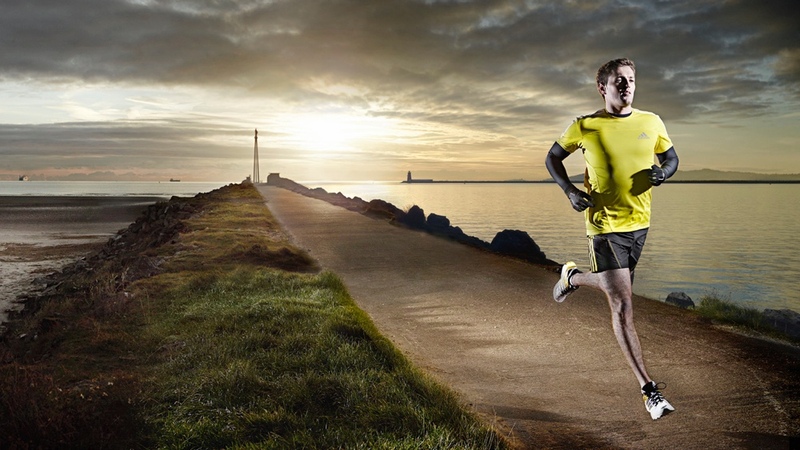 It’s also one of the most overwhelming platforms out there in terms of the level of information on offer, so we’ve filtered the facts to bring you ten top tips for using miCoach to become a better runner. The Adidas miCoach system uses four different zones to measure the intensity of your workouts, but how far you push up into the upper levels will obviously depend on your ability. By scheduling an Assessment Workout, miCoach will measure the zones that are right for you at that time, and it’s worth doing Assessment Workouts on a regular basis. To set one up, log into miCoach.com and then head to Schedule - you’ll see the Assessment Workout under Single Workouts, from where you can drag it into your schedule. And remember: the more accurate your heart rate information, the more effective your training is going to be. But if you find that workouts become too easy or hard you can manually adjust those boundaries by telling miCoach how you feel or, if you’d rather, tweaking the specific BPM. It isn’t all about the cardio. Setting up a strength and flexibility plan is just as important to your routine, and miCoach helps you to target this a number of workouts, including the Run Stronger plan. With Run Stronger you’ll start at base fitness, before moving onto strengthening your stride and finally focusing on power output. And you don’t just have to stick to the plan: you can compliment your routine with single workouts - perhaps one that helps your body recover faster from a workout. The miCoach platform is easily one of the most detailed fitness services out there, and the workout journal is a great way of seeing your individual runs broken down, but sometimes all of that data can be overwhelming. As a runner, it’s useful to be able to step back and see all of your data in a more consumable way, which is why miCoach offers a chart of your fitness history, letting you evaluate workouts from a day to a full year. Long runs are good for endurance, but any runner worth their salt will tell you the value of interval training - and this is one of miCoach’s strongest areas. miCoach’s Be Fit running plan is the place to get started, where you’ll be able to find an interval plan that works for you. Each workout level (which depends on your ability) offers a range of different interval workouts. The more able you become, the more you’ll start moving from the blue and green interval zones and into the more demanding yellows and reds. And if you prefer you can even create your own interval workouts by heading into your schedule manager, and clicking ‘Build your own’ under Single Workouts. It can be easy to overlook the preparation before a run, but a lacklustre pre-exercise routine can quickly come back to bite you. miCoach’s Run Efficiently plan targets technique and correct warm-ups. Phase 1 of the ‘Improve Technique’ plan is particularly worth including in your schedule, as it positions your body to run in the correct way, reactivating the right muscles to help your find that correct balance. Weekly goals are now available on the miCoach app and are particularly good for building up to your dream goal in more achievable ways, rather than just going straight for unrealistic targets that only set you up for failure. Going for weekly rather than long-term targets, your workouts will be more rewarding over a shorter time, which should help encourage you to stick with it and gradually start moving up towards more ambitious goals. miCoach has a large community of fitness aficionados, and there aren’t many places better to pose questions about your training. Concerned that your plan isn’t quite right? Perhaps you want some tips for where to go once you’ve finished your 10K plan. Discussions are broken down by topic, so you can be confident that your question is finding the right audience. Of course, you can also respond to other community members’ enquiries too. Who knows - someone may have already asked the question you were going to. It’s also worth keeping an eye on the miCoach blog, which is filled to the brim with useful training tips. Another social aspect of miCoach lets you follow other users and allows them to follow you too. Following other people will let you see how they’re training, which should not only offer tips and ideas for your own training but should keep you motivated along the way. Furthermore, miCoach lets you create and join groups. Here you’ll be able to keep an eye on each others’ training, swap tips and find new people to train with along the way. The miCoach route manager might not be as good as Nike’s, but it’s still helpful when you want an accurate measurement of distance. The point-to-point plotting system allows you to get a good idea of exactly how far you’ll be running, with the option to save your routes to miCoach so you can revisit and edit them at a later date. It might sound like a case of blaming your tools, but the condition of your shoes is actually really important to performing your best - the cushioning and stability does erode over time. miCoach has a section for letting you add information about your current pair(s) of running shoes so you can keep an eye on their mileage. Use miCoach to track your shoes’wear and tear over time to ensure you’re not being slowed down by trainers that have passed their use by date.